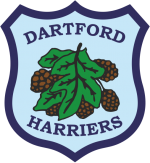 In what felt like the aftermath of Storm Erik, 4 brave Dartford Harriers travelled to the far reaches of Kent to take part in the Deal Half Marathon on Sunday 10 February 2019. The course met the description of the race organisers as “undulating” with an elevation gain of 880ft. The weather also proved challenging with strong winds throughout. It was rewarding just completing the course. 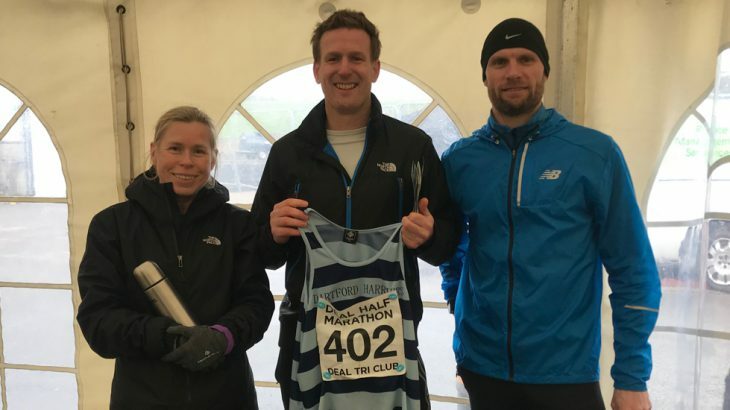 Results: Chris Biddle (1:18:59), Stuart Waterman (1:29:51), Denise Rose (1:55:18), Stephanie Dann (2:03:22). Chris put in a great performance (not just as a taxi driver) but to finish on the podium in third place overall holding off 4th place in a close finish – after a week of feeling under the weather the prize voucher surely helped him overcome the actual weather.